a Mid Century Modern Boudoir Lamp in the iconic turquoise. The shade is mostly original to the lamp. Would have been one of three Boudoir Lamps. The color is classic 1950’s. a red plastic Art Deco Boudoir Lamp. 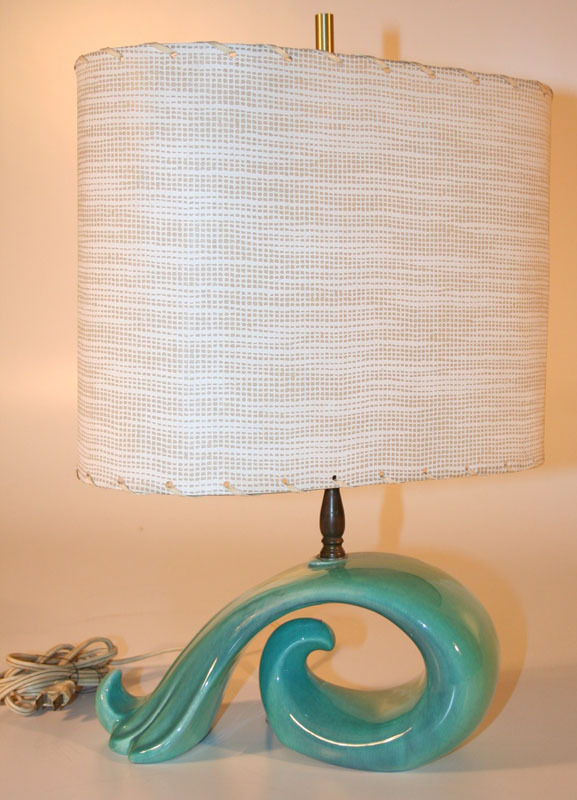 an early Mid Century Modern Boudoir Lamp in an art deco World’s Fair motif. 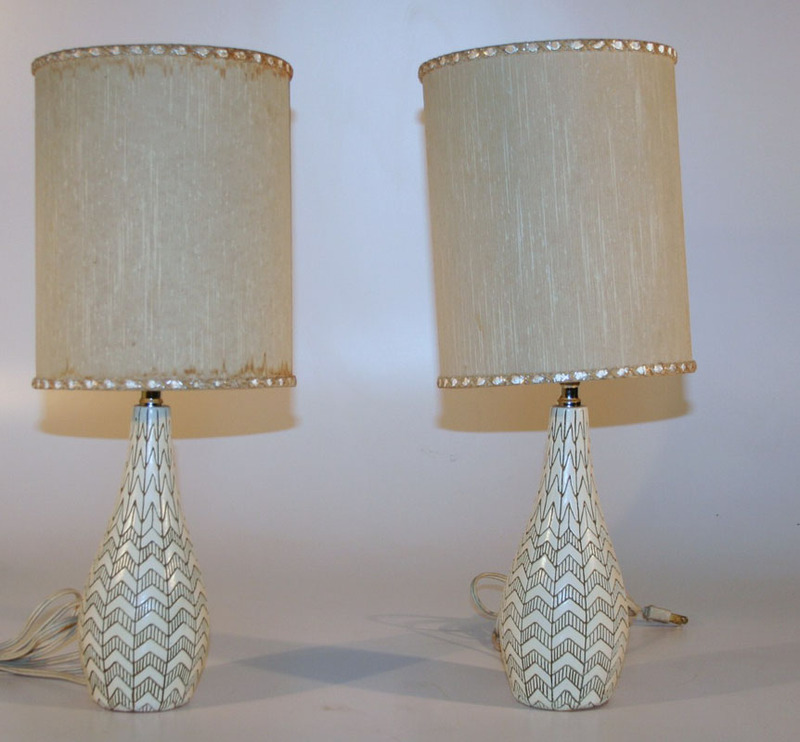 a delightful Mid Century Modern Ceramic Lamp which was once a pair of boudoir lamps. But it still reflects the creative found in Mid Century design. a iconic Mid Century Modern Boudoir Lamp in lime and geometric design. a clear plastic Mid Century Modern Boudoir Lamp in the stack design so popular by Mid Century Modern manufacturers.